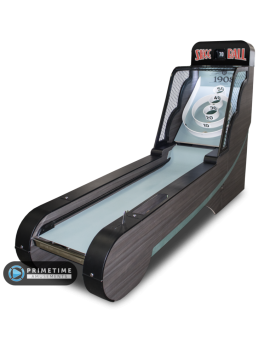 Video Bowling Has Never Been This Fun Before! Installed Dimensions: H: 117″ W: 65″ D: 118″ Weight: 1200 lbs. 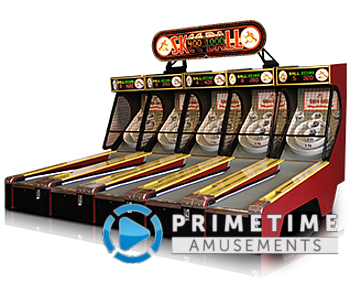 -Pkg#1 (Game Body): 88″x68″x30″ Weight: 675lbs. -Pkg#2 (Lane): 48x90x67″ Weight: 640lbs. 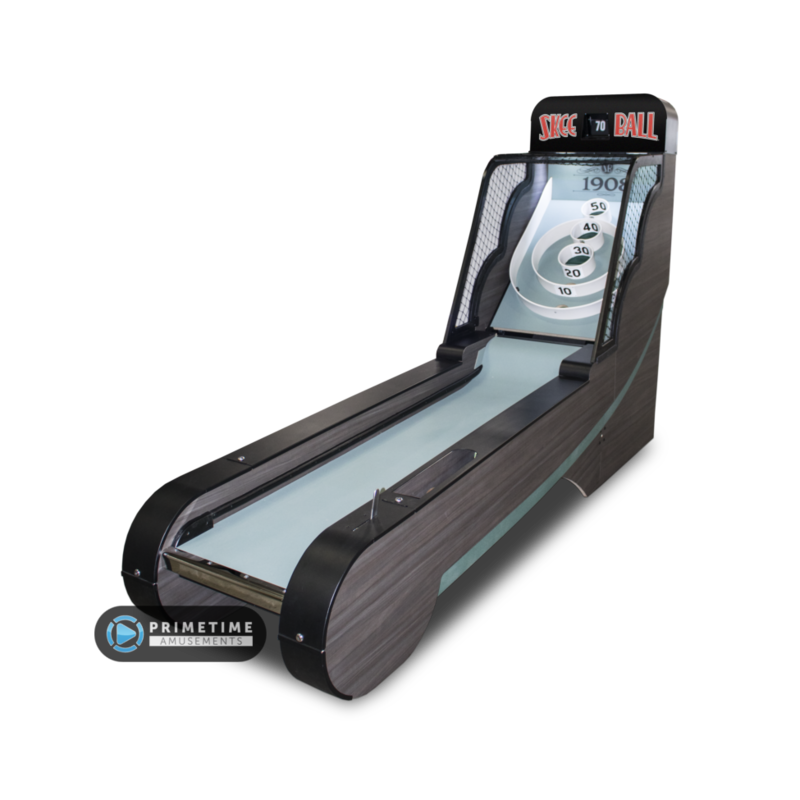 Lane Master by Universal Space is a video bowling alley concept that blends the physical fun of an alley roller with the versatility of a video game. The game makes use of sensors to translate real rolls into the virtual world. 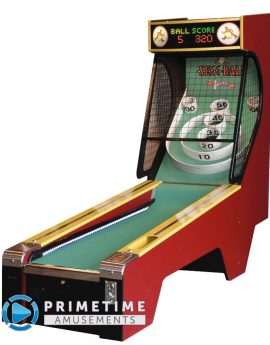 Simply roll the ball down the lane and watch your hits happen on the screen. Traditional bowling rules are used and a with the overall style of the software matching the sleek neon lights of the physical cabinet. 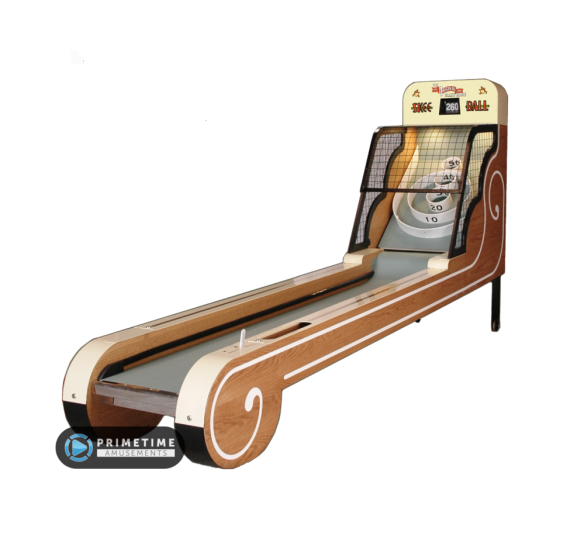 The gameplay is occasionally spiced up with special bonus games that would not be possible in a real life bowling alley. Where the playfield length is the same as with classic alley bowler games (10′), players will instantly feel familiar with what to do as they approach the game. Adding to the overall attraction, Lane Master comes with 3 monitors – 1 for each player and an additional monitor in the middle marquee area that shows the scores for both players. 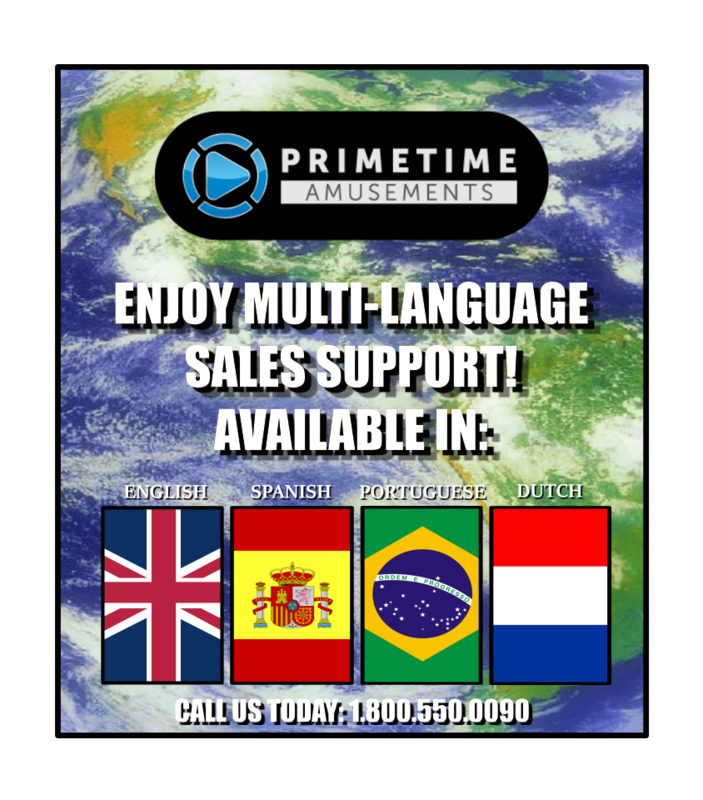 This monitor also allows the operator to display custom promotional video/image content to drive earnings up even more! 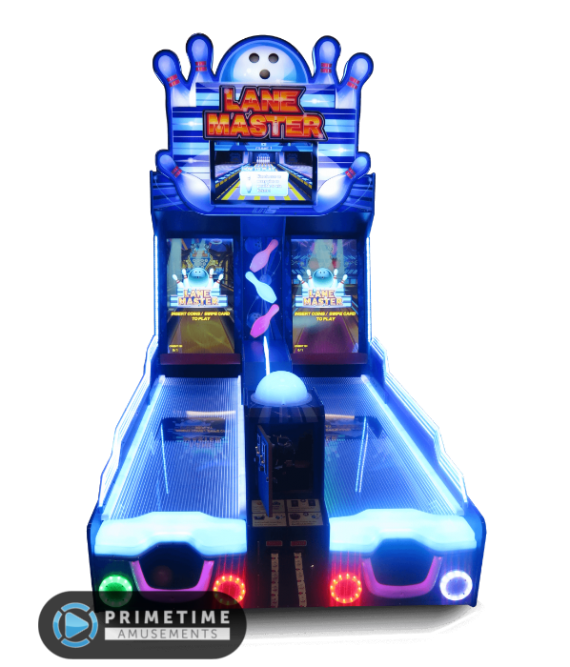 Here is the newest version of Lane Master that was shown at IAAPA 2017. Video available in 4K UHD! 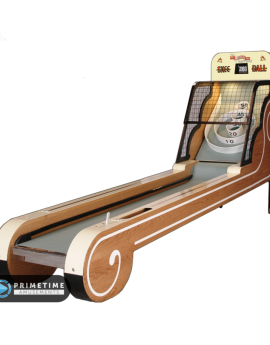 UPDATE (November 2017) – UNIS has taken the Lane Master and made it even better, debuting a new version of the game at IAAPA 2017. Now, operators can link three units together to offer a “triple threat” networked piece. This allows six lanes to be connected to each other and higher earnings! Bumper bars and strong plexiglass covers keep the monitors from taking damage. The software has also been improved to make it a highly praised and top earning game on the market at this time. – Includes 3 monitors, each 42″ in size with HD resolution. – Special “Golden Pin’ stage to win even more points! 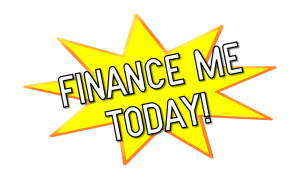 Call our friendly & knowledgeable sales staff for more information or email us today! Just Like They Made Back In 1909! Installed Dimensions: H: 76″, W: 31″, D: 155″ Weight: 679lbs. Installed Dimensions: H: 80.5″ W: 29″ D: 120″ Weight: 510lbs. Shipping Dimensions: H: 92″ W: 32″ D: 80″ Weight: 560lbs.